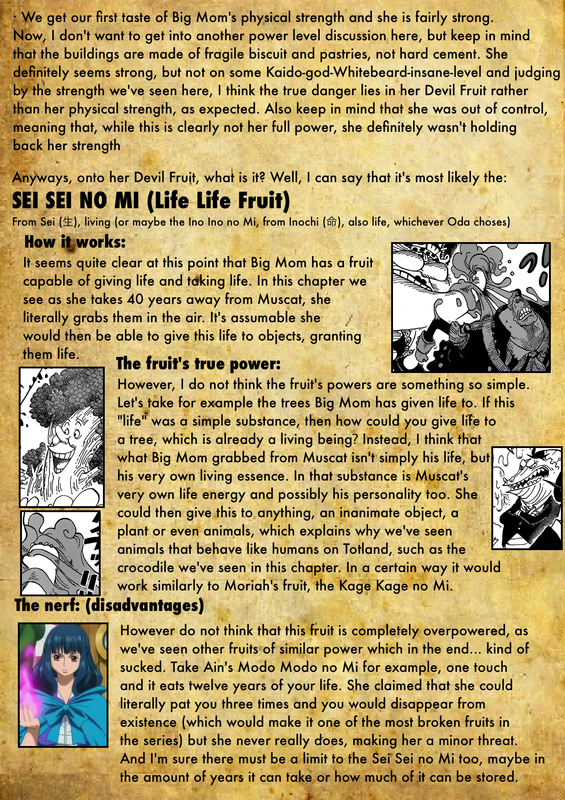 No, Chapter 829, I can’t do Chapter Secrets. No seriously, I have finals in four days, I gotta study! Well, guess who’s not sleeping tonight! 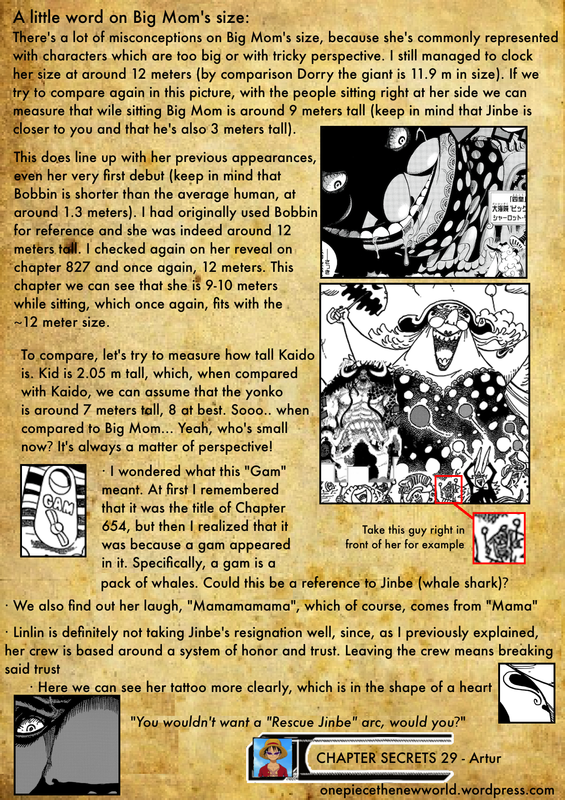 Previous Chapter Secrets Special 10 – Purin, friend or foe? Well done! Excellent work as always! Something else I noticed though. Was the that the Pastries in the the Croquem Bouche seemed to talk VERY similarly to Purin. I mean they were super against being eaten, until they were complemented on being delicious, then they were very pleased with themselves. They’re even smiling in her mouth as they’re being broken down by her saliva. Very reminiscent of Purin being mad at Luffy and Chopper for eating her Cafe, until they said it was delicious, then she was to pleased with herself to stay mad. 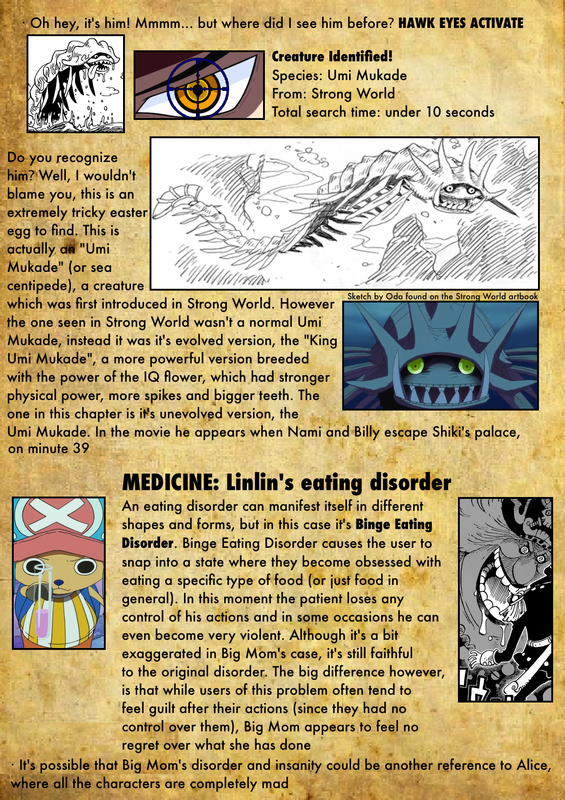 Some people have brought up the idea that Purin may have been created by Big Mom using her Devil Fruit, and this could potentially give credence to that. Speaking of Purin, it seems as if she was telling the truth, at least in regards to the undetectable path. Doesn’t mean it can’t be a trap, but it does show she’s at least speaking some truth. and the chart she gave them does seem to be legitimate. Also as a side note, the clock in the “King Kong Shot” seems to indicate it’s only 2:30 (14:30) meaning we still have quite a bit of Daylight left. So a lot is likely to happen on this day still, I’d say. Which I only bring up, since this arc seems to be counting down to the Tea Party. 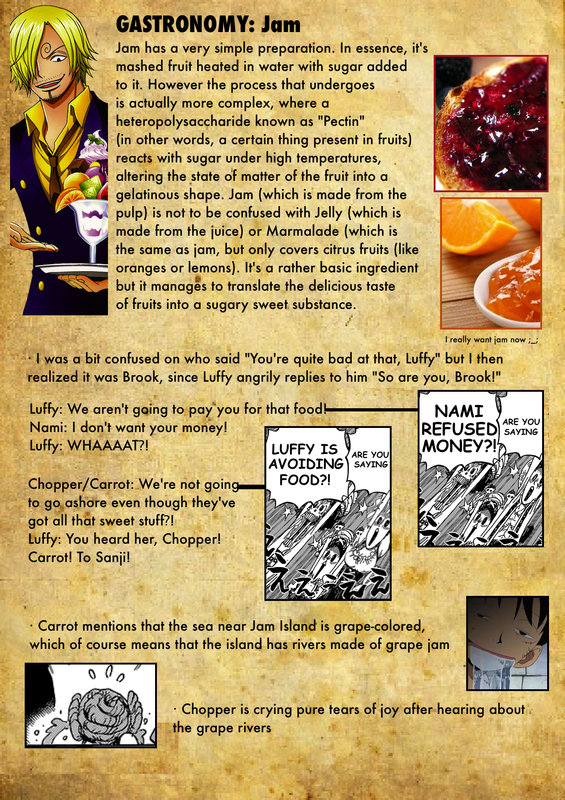 Though it does make me wonder, does this make this take place before Purin and Luffy met? The clock in her room, that seemed to be real, said it was 3:00. Or does this mean that the clocks here aren’t a good reference for actual in-world time? One last little thing. 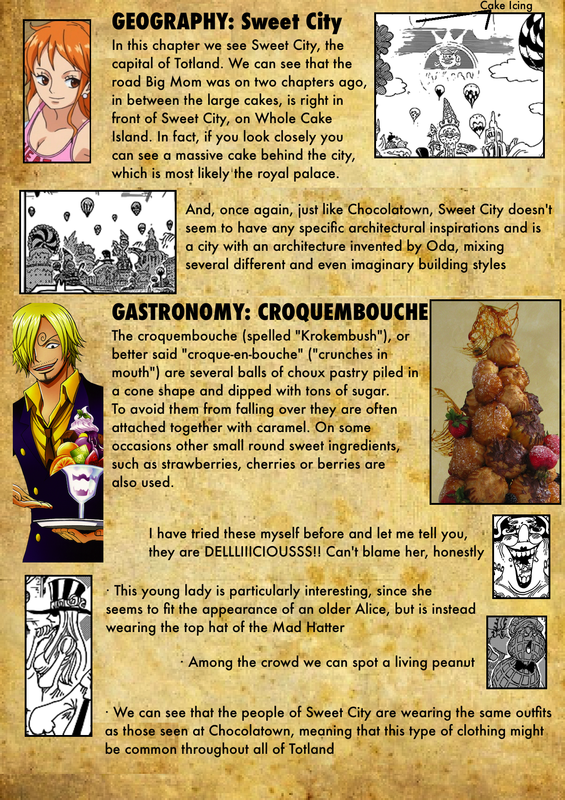 Purin’s chart’s gonna have Luffy and crew pass between Nut Island and Whole Cake. 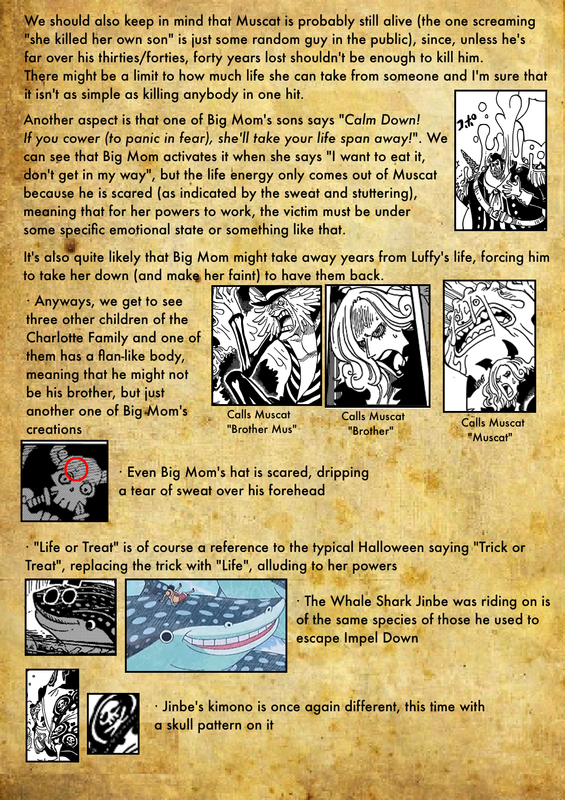 In this chapter it seemed as if the Nut Minister was called to come to Whole Cake to help prepare Big Mom’s dessert. 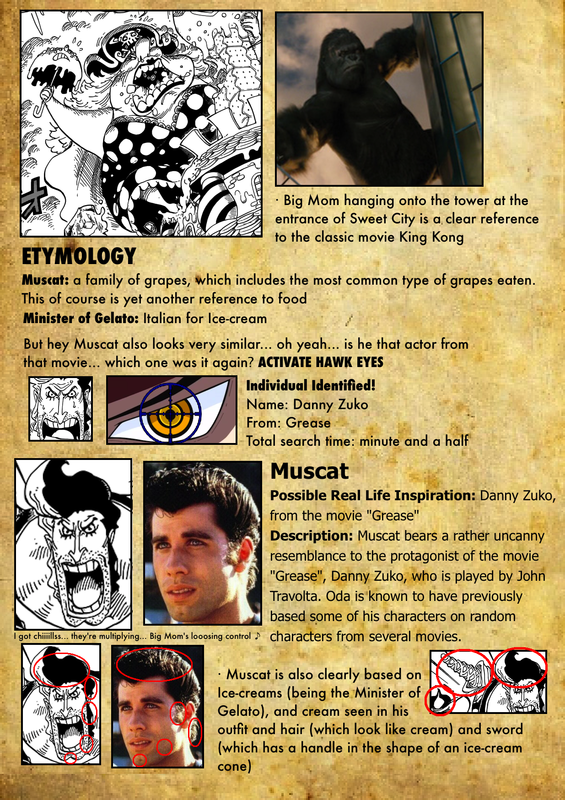 Could they potentially cross paths while on the sea? Whew! I can see why this takes you so long! This took me, like, 40 minutes!? 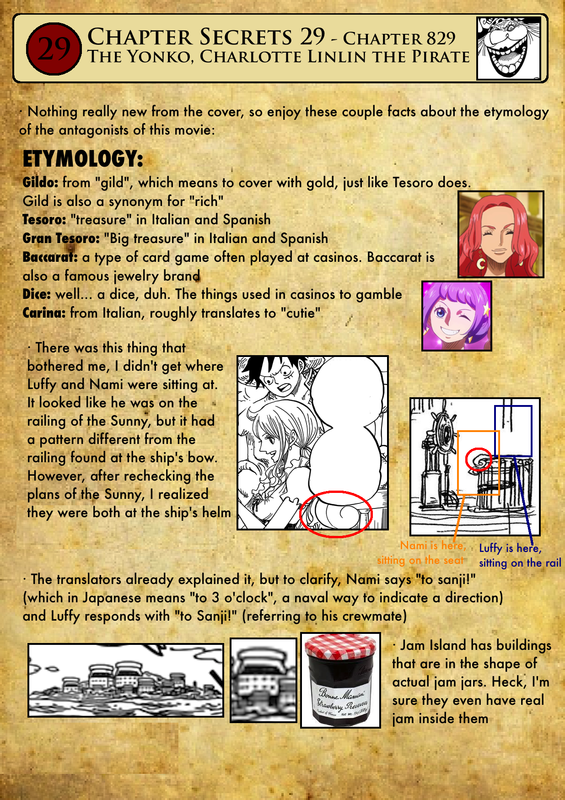 I think all clocks on Purin’s room are fake, including the 3 o’clock (sanji) one. Over the whole conversation (which must have taken at the very least some minutes) the clock never moves from 3 o’clock. The nut minister is an interesting concept, but I doubt he’ll go now that the Mama menace (Mamace?) is over. And i know about the eyes. I just thought it was funny he drew them exactly the same as he draws Vinsmoke eyebrows.